The Gospel of John Chapter 6 contains the miracle of the loaves and fishes. Jesus feeds over 5,000 people with bread and fish but offers them something far more valuable - The Bread of Life. Many times in life we seek the wrong bread, the physical bread that sustains our physical lives - a life that ends, when we should seek a life that never ends with the Bread of Life. We need to seek Jesus Christ who is the Bread of Life who gives us eternal life by the sacrifice of himself for us. Your learning comes from reading and studying the Bible. After you've read the Scripture passage below from the Gospel of John, answer the following questions. It's a good idea to do them every day, so we offer to email the questions to you every day - just sign up below. Answer the questions below. You can download these questions from the Gospel of John Chapter 5 if you wish to work on them offline by yourself or with a partner, or we can email the daily questions to you. If you want us to email the daily questions from this Bible study of the Gospel of John Chapter 5, complete the form below. You will get 6 emails with the questions for each day. A seventh email will allow you to compare your answers and take you to Chapter 6. 1. How do you think Philip did when Jesus tested him as provided in the Gospel of John Chapter 6 verse 6? 2. What miracle had Philip already seen Jesus perform in the Gospel of John that should have helped him believe that Jesus could feed the 5,000? 1. Why did Jesus feed the 5,000? 2. From the Gospel of John Chapter 6 verses 26, 27, 30, 33, 34 and 35, what is the crowd persistently seeking from Jesus and what does Jesus keep offering instead? 3. 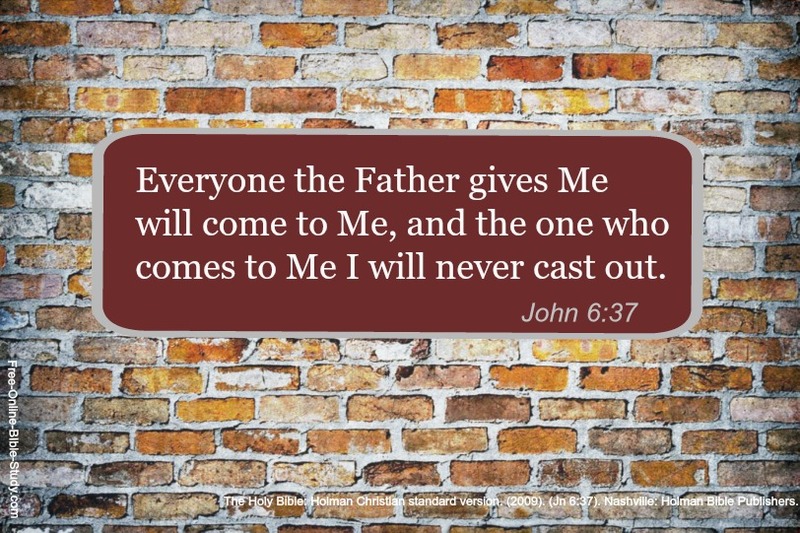 From the following verses in the Gospel of John Chapter 6 characterize the attitudes of those who followed Jesus. Use the phrase “They were ______” and add 1 word to describe their attitude (e.g They were curious). 1. What is the recurring idea in verses 37 and 39? 2. Which of the verses from verses 35 to 59 promote the idea of eternal life for the believer? 3. The incident of Jesus walking on water occurs here in the Gospel of John Chapter 6, but also occurs in two other Gospels. What do we learn of the incident of Jesus walking on water from Matthew Chapter 14, verses 22 - 33 and Mark Chapter 6, verses 47-52? 1. Why were the Apostles terrified when they saw Jesus walking on the water? 2. Compare the manna of Moses time to the Bread of Life that Jesus offered in the Gospel of John Chapter 6. How are they similar? How are they different? 3. List the grumblings or reasons for the crowds objections to Jesus' teachings in verses 30, 41 and 52. 1. Why do you think the crowd wanted to make Jesus king as provided in verse 14? What's the irony in this? 3. Why do you think Jesus asked the question “Have I not chosen you” to the 12 disciples at the end of Chapter 6? Why did many of Jesus’ disciples leave him after his teaching in the Synagogue at Capernaum as shown in verse 66? Our prayer is that this Bible study of the Gospel of John Chapter 6 has blessed you and that God has revealed Himself to you more than before so that we can continue to give Him glory. Praise be to His Name!